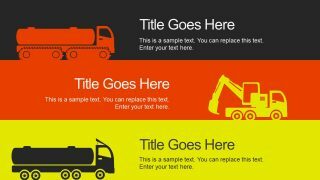 The Construction PowerPoint Shapes template provides a set of useful graphics for civil engineering and development projects. 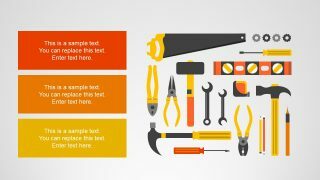 There are 8 slides of clipart icons to demonstrate various elements of construction. Such as builders or workers, tools, machines, and buildings. 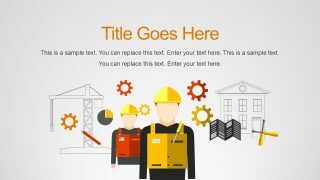 These graphics could be used to represent concepts in slides or as background to support an overall construction project idea. Therefore, these slides can aid to describe a wide range of builders, construction, and architectural topics. For example, excavators, forklift and dump truck are the construction heavy equipment for presentations like earth-moving, mining, digging etc. 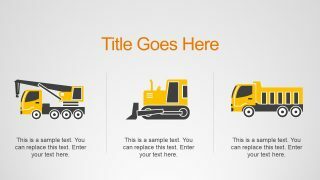 Further, forklift, buildings, and container ship silhouette slide could be used as the background of logistics presentation. 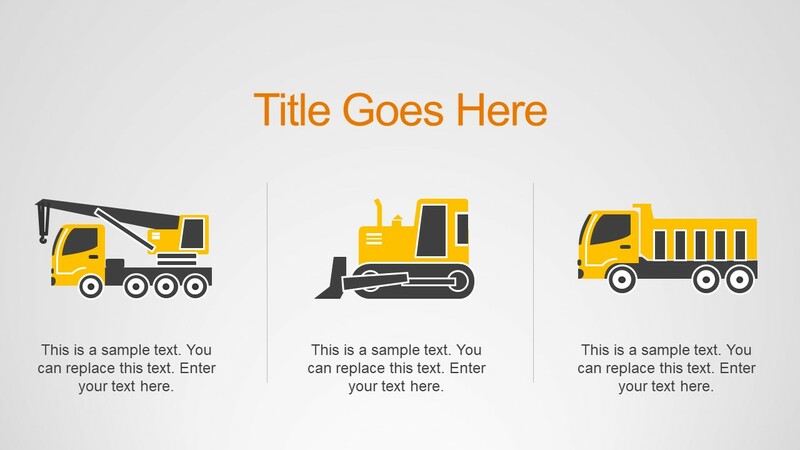 The Construction PowerPoint Shapes template has various slide designs. Like bullet points, 4 segments, 4 steps, and two or three contents layout. 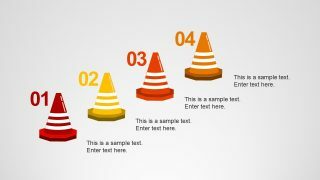 These construction PowerPoint shapes have yellow, orange and red color theme. Because these colors are commonly used in heavy machinery and worker’s uniform, as highlighting colors for safety measures. 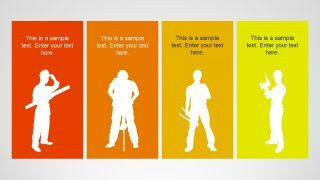 However, users can change colors and shapes according to their presentation needs. There are two types of construction PowerPoint shapes, i.e. silhouette and flat clipart icons. With clipart icons, users can modify different units in size, color, and effects. Such as toolset in 5th slide. However, silhouette icons can only be customized as a whole. 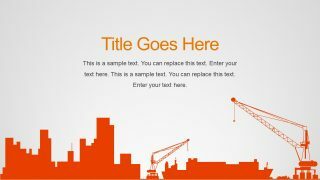 The construction shapes of PowerPoint are useful graphics for both professional and casual presentations. 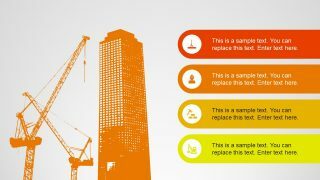 The experts of relevant fields can use these slides or shapes to complement their construction topics. These visually attractive graphics can aid in delivering educating lectures and seminars about related industries. The 4 steps diagrams can demonstrate planning and production of buildings. Whereas, construction engineers or project architects can use the tools, building, and blueprint shapes to demonstrate their proposed ideas.